During the 1940s, several recognizable and valuable patents were issued that have contributed significantly to American culture and society and changed the way we live. One such patent pioneered the way we see animated movies. 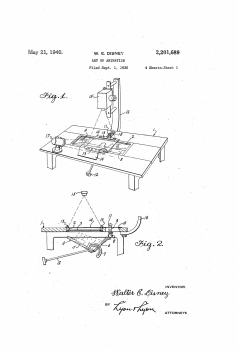 On May 31, 1940, Walter E. Disney received Patent #2,201,689 for improvements in the art of producing animated cartoons. Disney’s patent was for a multi-plane camera that allowed for a more realistic three-dimensional image as well as depth and richness to the animation. His invention enabled him to move from the standard animated short films to feature-length animation.While the first shopping cart was developed in the 1930s, it was missing one feature that is now instantly recognizable in many stores today. 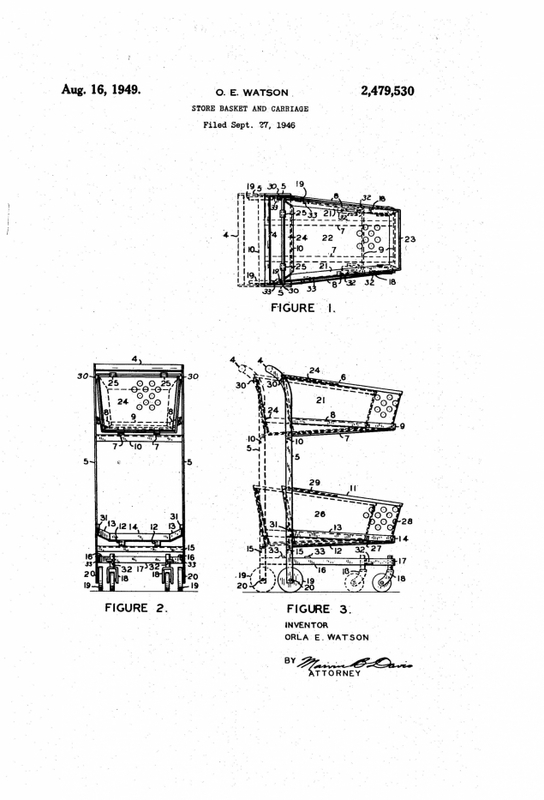 In 1949, Orla E. Watson devised a telescoping shopping cart with each cart fitting into another. The new style cart replaced the previous design in which two baskets could be removed from a foldable, wheeled frame. 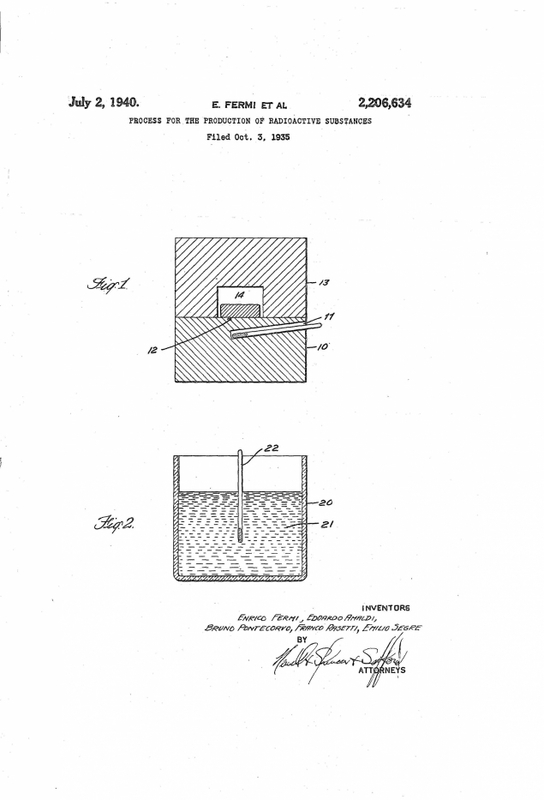 Enrico Fermi and colleagues received patent #2,206,634 for increasing the efficiency of nuclear reactions using neutrons instead of charged particles. Prior work in the field demonstrated that radioactive isotopes could be artificially produced by bombardment with alpha particles, diplons, protons or gamma rays of very high energy. However, charged particles required tremendous energy to break through the potential barrier surrounding the nucleus. Fermi and his colleagues demonstrated that greater efficiency for generating radioactive isotopes could be obtained with low energy or “slow” neutrons. Enrico Fermi also received the 1938 Nobel Prize in Physics for his work on induced radioactivity. In 1944, the first commercial plant for the industrial fermentation of penicillin opened in Brooklyn, New York. This was due to the work of Dr. Andrew J. Moyer, Ph.D., who was tasked to develop a practical method for large-scale production of the antibiotic, penicillin. Previous efforts to culture large quantities of the antibiotic were not successful, and Dr. Moyer’s task was seen as urgent to help treat the growing number of wounded soldiers fighting in World War II. Dr. Moyer’s suggestion to include corn steep liquor in the medium greatly enhanced the yield of penicillin leading to its mass production. The patent system is one of the strongest bulwarks of democratic government today. It offers the same protection, the same opportunity, the same hope of reward to every individual. For over two centuries, it has recognized—as it will continue to recognize—the inherent right of an inventor to his or her government’s protection. Today, the patent system continues to be the best, most workable method yet devised for protecting inventions, fostering industrial and technical progress, and ultimately giving to the world the benefits of the individual inventor’s genius.